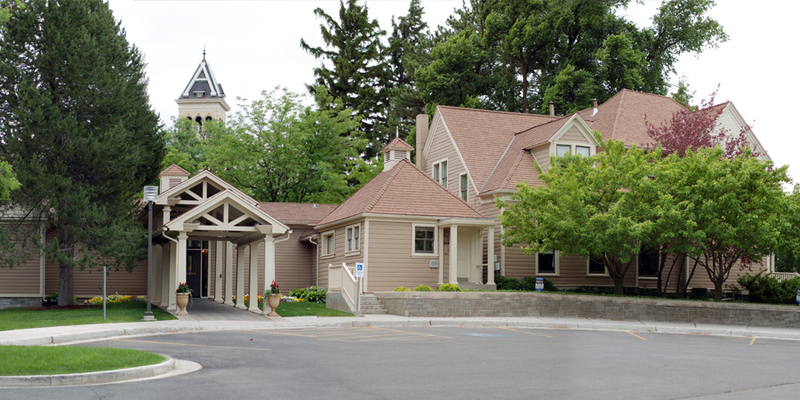 The Haight Alumni Center is the oldest state-built residence in Utah. It was built by the Territory of Utah as a model farm house, but for nearly a century it was the home of the President of Utah State. It is the oldest state-built residence in Utah, yet the Alumni Center wasn't built by the state and it's no longer a residence. It was built by the Territory of Utah as a model farm house, but for nearly a century it was The President's House, home to 12 presidents of Utah State University. The house was added to the Utah State Register of Historic Sites on June 2, 1971. In 1890, plans for the model farm house were drawn up by President Jeremiah Wilson Sanborn, first president of the university, and C. L. Thompson, architect of Old Main. The home into which the Sanborn family moved in 1891 was large and stylish, with nine main rooms on the first floor. The exterior showed all the latest fashions of the Queen Anne style: cut shingle gables, channel rustic siding, porches adorned with elaborate fretwork and turned posts, double windows in the principal rooms, and the inevitable two color paint. After the appointment of the College's third president, Joseph Marion Tanner, in 1896, the model farm house undertook a substantial renovation with the addition of electricity, indoor plumbing, and conversion from coal stove heat to a furnace. Little substantial remodeling was done after the Tanner renovations. The porch was enlarged and extended to a screened second floor level in 1913. The kitchen was changed about the same time, in keeping with the recommendations that Mrs. Widtsoe formulated in a circular published by the Agricultural Experiment Station. Some room openings were enlarged to allow easier movement, a stairway was removed; but essentially, the building remained little changed from that designed in 1890 by Jeremiah Sanborn. 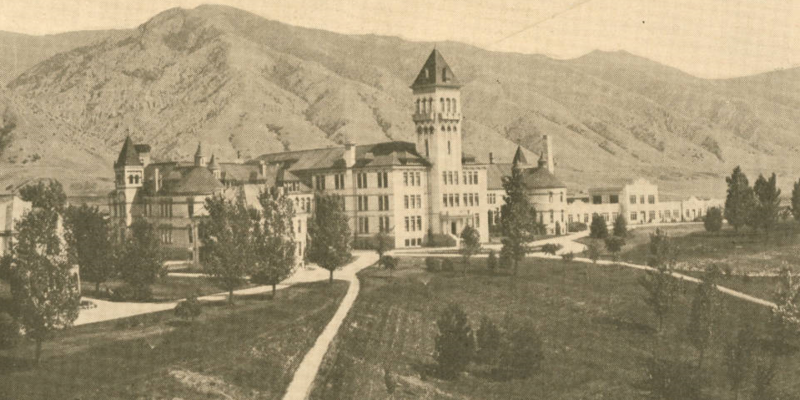 With changes to accommodate the years, the house served the presidents of Utah State University and their families continuously from 1896 until 1983. For nearly 30 years, from 1916-45, the President's House was home to the young family of Elmer George Peterson, the sixth president of Utah State Agricultural College. In December 19, 1983, just after the Caziers left the house, the north wing of Old Main was gutted by fire. While reconstruction was done, the President's House (now the Alumni House) was occupied by the Department of Languages and Philosophy. That use slowed the remodeling of the house to meet both building codes and Alumni Association needs, but it also allowed time for the Association to raise a quarter of a million dollars for substantial renovations and additions to the 1890 structure. The Alumni staff moved into the old house in October 1986, in time for Homecoming activities. The second phase of the project included building an adjoining banquet and reception hall. Funds from friends, alumni, and a generous gift from Huntsman Chemical Corporation, made the addition possible. Groundbreaking ceremonies for the new addition were held June 1, 1990. The addition was completed in June of 1991 and dedicated July 11, 1991. The complex was named in honor of David B. Haight, businessman, civic leader, and member of the Council of the Twelve Apostles of the Church of Jesus Christ of Latter-day Saints. Click here for a biography of David B. Haight. As home to the Alumni Association, the historic house has moved beyond its original purpose as the President's Home to become the campus home to everyone who has attended Utah State University.